A mystery plagues two iOS users, but others must be affected? Updated: See the latest information at the bottom of this article. 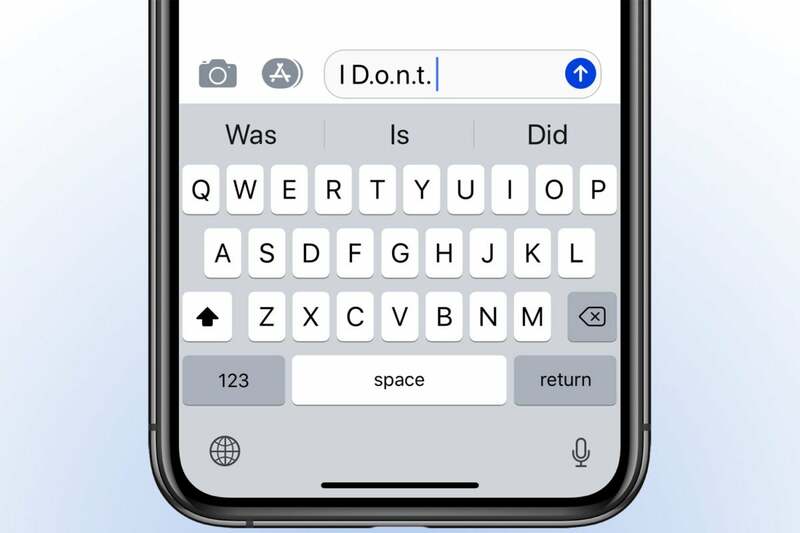 That means that if enough other people correct “I don’t” to “I D.o.n.t.” or use the phrase “I D.o.n.t.” on its own, it might percolate down to your individual iOS device as a suggestion. Often, rejecting an autocorrect suggestion or retyping the word or phrase can retrain autocorrect out of an odd revision. But that’s not working for either of the people experiencing this one. This is reminiscent of Apple’s “i” substitution problem in iOS 11.1. I did an informal survey on Twitter to ask if anyone else had seen this particular oddity as well as searched on Google, and it appears unique to the two people who reported it. If you’ve seen it, too, let us know. Update (April 18): Since this article was first published, I have received over a dozen emails from readers who have the same issue. In several cases, they were either “infected” or infected others when they sent or received a text with the corrected “I d.o.n.t.” in it. We have a query out to Apple and will update this article if we obtain more information. This Mac 911 article is in response to a question submitted by Macworld reader Patrick.